The North Caucasus diaspora in Europe is a predominantly Muslim community of several hundred thousand people scattered across the continent. Hundreds of its members have gone to the Middle East to fight in the ranks of the Islamic State (IS). While most of them have wound up as cannon fodder for the terrorist group, some have risen to top positions in the IS hierarchy. “Analysts assert that many Chechen fighters tend to be relatively experienced and combat-ready, based on fighting Russia in a conflict that has been ongoing since the 1990s,” the U.S. Congressional Research Service stated in a recent report. “Chechen fighters may therefore take on more leadership roles within extremist groups.” As many as 5,000 European Union citizens have left the continent to fight in Syria and Iraq, according to Europol, the EU’s law enforcement agency. With IS’s grip on its territory in Syria and Iraq gradually weakening, the issue of returning ex-fighters is becoming a major security concern. Meanwhile, IS increasingly is conducting terrorist attacks against targets in the West. As the recent attacks in Brussels demonstrated, in conducting such operations, IS tends to use second or third generation immigrants who are usually already citizens. These characteristics apply to members of the North Caucasus diaspora in the EU, and, as the Boston Marathon bombers showed, the United States is not immune to such attackers. From Chechen to Syrian battlefields Grievances against Russia facilitate IS recruitment of Chechens and other North Caucasians currently living in Western Europe, says Petter Nesser, a senior researcher with the Norwegian Defense Research Establishment and author of the book “Islamist Terrorism in Europe.” “Many come from families having grievances related to conflicts back home in Chechnya, persecution by Russian authorities that jihadi recruiters in Europe can play on when convincing them to travel. 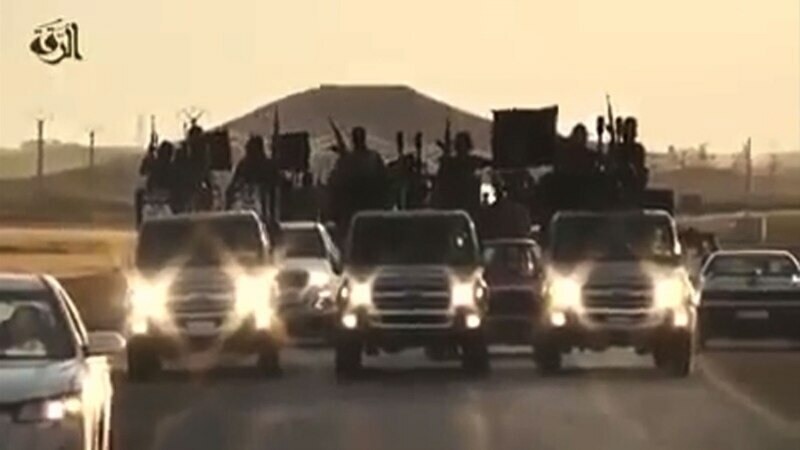 Some eulogize Chechen mujahideen who are active in Syria and Iraq,” Nesser told VOA. Russia’s colonization of the North Caucasus produced two separate waves of exiles. The first wave consisted of those Russia expelled from the region to the Ottoman Empire en masse in the 19th century. That created a diaspora in the Middle East, which today is several million strong. The descendants of this “old” diaspora are significantly represented in the various rebel groups that have been fighting the Assad regime since the beginning of the civil war in Syria. The second, more recent wave of North Caucasus exiles went mainly to Western Europe and the United States – the result of two wars in Chechnya in 1990-2000 and what some observers say are repressive Kremlin policies. The Chechen communities recently formed in Europe total more than 200,000 people, according to Mairbek Vatchagaev, a Paris-based expert for The Jamestown Foundation, a Washington, D.C., think tank. No official estimates are publicly available of the number of North Caucasians from the EU diaspora who have left Europe to join jihadist groups fighting in Syria and Iraq. However, the International Crisis Group reports that the Chechen diaspora in Europe is a key hub for IS recruitment. Vatchagaev has estimated that each Chechen commander currently fighting for IS, the al-Nusra Front or other anti-Assad groups could easily have 250 Chechen militants under his command. The first group of Europe-based Chechens who went to fight in Syria were educated people who made a “conscious choice” to join the jihad there, Vatchagaev told VOA. “These were not uneducated, brainwashed, poor youngsters, but mature people, many of whom you would call intelligentsia,” he said. Nesser believes the winding down of the wars in Chechnya contributed to the flow of Chechen fighters to the Middle East. “The overall presence of Chechen jihadists in Syria was exacerbated by the weak position they are in back home, which made it opportune to fight elsewhere,” he said. The al-Shishani example Experts say that many foreign fighters from Europe joined Chechen jihadist factions in Syria, such as Jaysh al-Muhajirin wa al-Ansar. “Chechens in particular would seek out such factions, according to the common pattern where foreign fighters organize according to ethnic lines and language families,” Nesser said. Jaysh al-Muhajirin wa al-Ansar was once headed by Abu Omar al-Shishani (Tarkhan Batirashvili), the Georgia-born Chechen who served in the Georgian Army during its brief war against Russia in 2008 before going to fight in Syria. He later became a top IS military commander there. U.S. defense officials say al-Shishani, whose example motivated other North Caucasians to join the war in Syria, died from wounds sustained in a U.S. airstrike conducted there in early March. Vatchagaev does not believe Abu Omar al-Shishani is dead. “Al-Shishani’s own brother, who is always next to him, reports frequently back to their father in (Georgia’s) Pankisi village,” Vatchagaev said. “If the report of Tarkhan’s death reached his father, he would be obliged to announce a mourning period to the villagers, (but) no such events have taken place so far.” Experts say al-Shishani’s death, if confirmed, could spark a power struggle, and that most of the Chechen IS fighters would turn against the group if it picked a non-Chechen to replace him. While thousands of militants from the North Caucasus are fighting alongside IS in Syria, some influential groups there are fighting against both the Assad government and IS. One such group is the Caucasus Emirate in Sham (Syria) – a multi-ethnic group that includes many North Caucasians and was built on the remnants of the Caucasus Emirate, which emerged in Russia in 2007 but was largely crushed by the Russian security services by 2012. The Caucasus Emirate in Sham “hates IS: they are foes and fiercely fight against each other,” said Joanna Paraszczuk, an expert on Islamist terrorism with Radio Free Europe/Radio Liberty. For such groups, she said, Russia remains the ultimate enemy. Disillusioned returnees Most of the Europe-based Chechens who first went to fight in Syria died there, says Vatchagaev, but a few returned “deeply disappointed by the dichotomy between their idealistic perceptions and what they saw was happening in reality.” The returnees have become the most effective anti-IS propaganda activists, with their accounts of what they experienced in Syria spreading quickly through close-knit Chechen communities. “The stories told by the returnees became the significant single factor in reducing the wave of recruitment of European Chechens into IS,” Vatchagaev said. Some European Chechens are still going to Syria, he added, but in much smaller numbers. Those foreign fighters who move into international terrorism after leaving Syria are particularly dangerous because of their skills, said Nesser. “They also can function as recruiters and network entrepreneurs because of their experience and status,” he said. The EU authorities have responded to the threat posed by such returning foreign fighters with various measures, including increased monitoring and surveillance. Some EU member nations already implemented Passenger Name Record (PNR) legislation proposed to the European Parliament, which requires airlines to provide EU countries with passengers’ data, allowing the authorities to systematically monitor and collect information on air travelers. Other EU member counties say they are still testing the system. Mairbek Vatchagaev says all European Chechens are under constant security monitoring. “People are afraid to go to Turkey to visit friends and relatives, because that is viewed as a traditional route to Syria,” he said. He added that, to his knowledge, none of the Chechen militants who have returned to Europe from Syria or Iraq has evaded the authorities. “All are arrested or detained,” he said. Russia’s economy shrunk by 3.7 percent in 2015 compared with the previous year, the country’s state statistics service said on April 1. Russia’s share in trade with the European Union dramatically reduced last year, pushing the country out of the top three main trading partners of the EU, the European statistics agency Eurostat reported Friday. A transcript of today’s Daily Vertical can be found here. The White House says the United States will provide Ukraine with an additional $335 million in security assistance. The new aid was announced Thursday after a meeting between U.S. Vice President Joe Biden and Ukrainian President Petro Poroshenko in Washington. 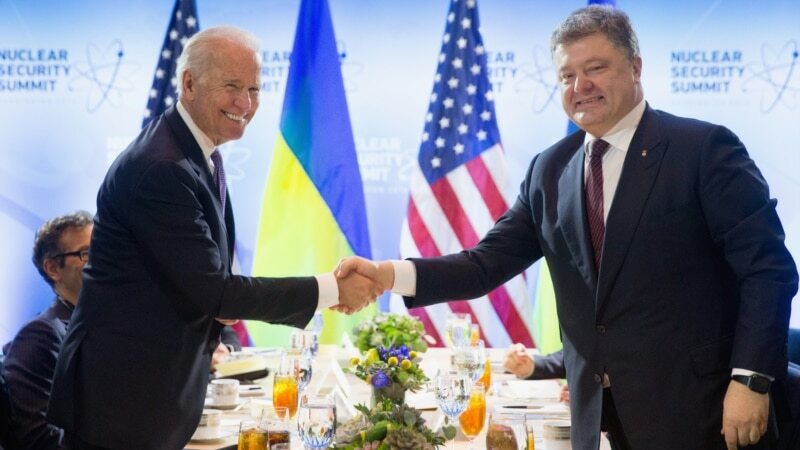 The White House also said that Biden told Poroshenko that efforts to form a stable, reform-oriented government were critical to unlocking international economic assistance, including a third $1 billion U.S. loan guarantee. Last May, the U.S. signed a second $1 billion loan guarantee deal for Ukraine, to help it rebuild its economy after Russia annexed Crimea in 2014 and backed a separatist insurgency in the country’s eastern Donbas region. Washington has supported Ukraine’s pro-Western government but also been concerned by pervasive corruption. Ukraine’s parliament sacked the country’s chief prosecutor earlier this week over his alleged attempts not to pursue high-profile corruption cases.